Looking for a long term travel solution that does not involve staying expensive and sometimes dirty hotels? Want to be able to stay anywhere from a quite and cozy campsite, to an open field in the mountains? Then you need to head to your local Airstream dealer in Wisconsin and see one of the many new and used Airstream trailers for sale. Whether you are looking for an Airstream camper that will sleep six or an Airstream travel trailer that is small and cozy, there is a design for you. Here at Ewald’s Airstream of Wisconsin, we have a variety of Airstream campers to choose from, no matter what your wants and needs are. We have everything from a tiny but tough Airstream sport for sale, to an elegant and luxurious Airstream Land Yacht for sale. If it is a long term travel companion you are looking for, then you need to come to your local Airstream dealer in Wisconsin and see the Airstream Land Yacht for sale. The Land Yacht for sale is ready to take on all of your travelings wants and needs and will do it in complete style and luxury. The Land Yacht is the most expensive Airstream ever created and once you step inside you will never want to leave. The Land Yacht was designed with the idea of bringing together the best of the land and sea. This Airstream trailer for sale can sleep up to 5 people comfortably and comes with many impressive and desirable features that will make you feel like you are on a high-end yacht and not in a travel trailer. The Land Yacht offers a full bathroom that features bright whites and dark woods that give off a spa like a feel. The private sleeping quarters offer a panoramic window that lets you take in the beauty of the area around you without ever having to leave your bed. This Airstream trailer comes to life with elegant curved cabinetry, padded surfaces and smart storage features create a light and bright, airy space. 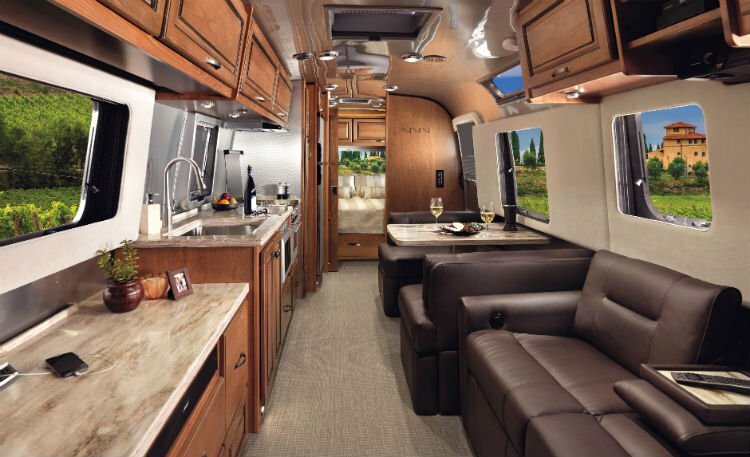 When you travel in an Airstream, you are getting features that are only seen on high-end yachts. Do not let the sheer size the Land Yacht fool you. 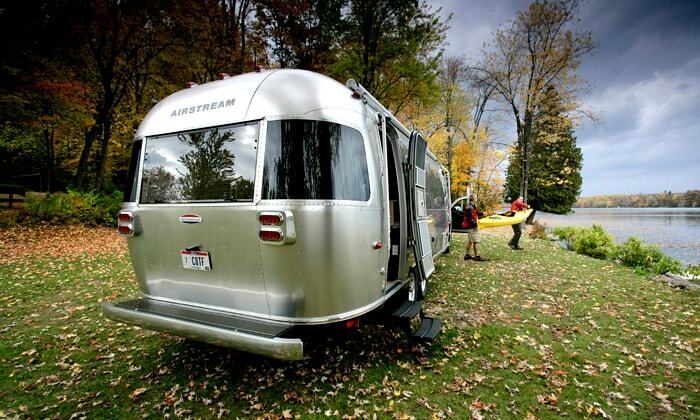 With advance anti-sway technology even a beginner will be able to tow this Airstream trailer with ease. Come to your Airstream dealer in Wisconsin and see for yourself what it means to have the best of the land and sea with the Airstream Land Yacht. If the Land Yacht for sale is not what you are looking for come and see one of the many other new and used Airstream trailers for sale at your Airstream dealer in Franklin, Wisconsin. Ewald’s Airstream is located at 6319 S 108th St in Franklin, Wisconsin 53132.